Why visit Dumfries & Galloway? It’s Scotland – squeezed into one region! Alex Fergusson MSP once commented that his home region of Dumfries and Galloway is ‘a bit like a miniature version of Scotland, condensed down into one region’. 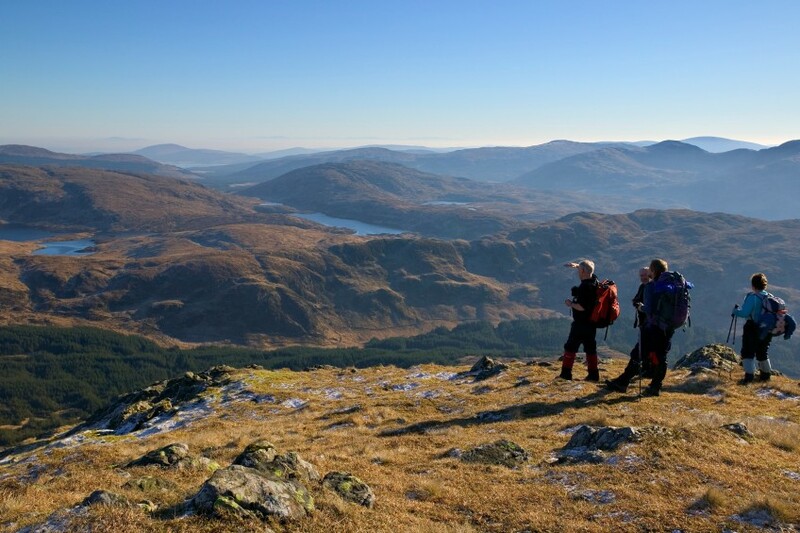 It’s easy to see what he means – not just a great range of accommodation and activities (should you wish to be active) but lots of Scotland’s best features in one place. A place where naturally beautiful countryside meets the sea, with a great range of locally produced food and drink too. Dumfries and Galloway is home to a stunning 200 miles stretch of coastline, representing the seaside in all its forms; with endless sandy beaches at Port Logan and Sandyhills, leisure-craft on the ‘Solway Riviera’ at Kippford and fishing boats unloading their catch of scallops in the busy harbour of Kirkcudbright. It’s beautiful too – the breath-taking sunset over the Irish Sea seen from the safe haven of Portpatrick harbour epitomises the special atmosphere where this region touches the sea. 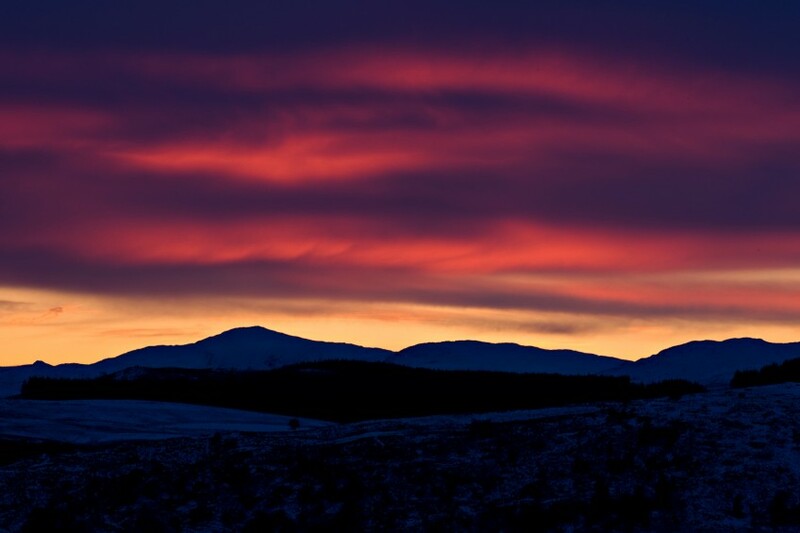 It’s a common misconception that you have to head for the Highlands to find great Scottish hills, but you might be surprised. Dumfries and Galloway hosts some of the country’s very best for walkers of all abilities; from tackling the 212 mile Southern Upland Way or challenging ranges like the ‘Awful Hand’ to following in the footsteps of ancient cattle rustlers in the Devil’s Beef Tub there’s plenty to savour. With the birthplace of Christianity, ancient buildings like Caerlaverock Castle and the first home of the Scotsman who founded the American Navy, the south-west is also steeped in history. Dumfries is the heart of Robert Burns’ country and Scotland’s National Museum of Costume is housed in Shambellie House at nearby New Abbey. The village is also where Sweetheart Abbey stands – home to one of the most romantic stories of them all. The nearest town to Orroland Holiday Cottages is Kirkcudbright – the Royal Burgh is Scotland’s Artists’ Town and comes alive in the summer with a tremendous programme of entertainmentincluding a Jazz Festival, open-air Scottish Nights and a floodlit Tattoo(complete with massed pipe bands) in front of MacLellan’s Castle. The region also hosts five of the 7Stanes mountain bike trails and a range of great golf courses, both links and inland. Dumfries and Galloway is also becoming very popular for foodies – with Savour the Flavours running two very successful food festivals at either end of the summer season in May and September. You can explore the local countryside, meet local artisan producers of all types of food and drinks and even learn to forage. That countryside is also home to fantastic wildlife – including the Galloway Wild Goat Park, RSPB reserves at Mersehead and Mull of Galloway and a chance to see Red Kites in the wild.